Indigo | Hammond + Playle Architects have been awarded the 2018 Living Building Challenge Zero Energy Award at the Living Future 2018 “unConference” in Portland, Oregon. The Living Future unConference is the leading event in regenerative design. It is the forum for leading minds in the green building movement who are dedicated to creating design for a better future and a healthier planet. ILFI’s unConference is celebrating 12 years of innovation and new ideas in the Green building Movement. Indigo Architects are the First to Receive this Award for the design of an office building in the world, and the 13th building total to ever achieve Zero-Energy Status. International Living Future Institute is an environmental NGO committed to catalyzing the transformation toward building communities that are ecologically restorative. Composed of leading green building experts and thought-leaders, the Institute creates and certifies the parameters for Living Buildings, Zero-Net Energy Buildings and Zero Energy Buildings, of which Zero Energy has the most stringent parameters- involving the examination of utility bills for one year and other green building techniques. The Passive Pioneer Award honors those in the passive solar energy field who provided the theories, research, efforts, new concepts and opportunities for later researchers to follow and to improve upon. The award is presented to a deserving innovator who was involved in the early stages of passive theory, design, application or technology. The 2016 Passive Pioneer Award was presented to Mr. Jonathan Hammond for his early application of passive solar design principles addressing the passive heating and cooling of modern buildings. 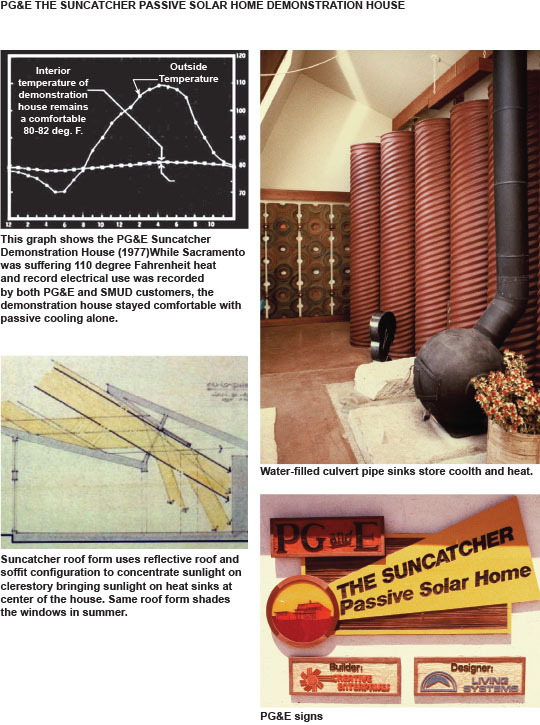 Jonathan Hammond played a pivotal role in the emergence of passive solar architecture during the 1970s in California. 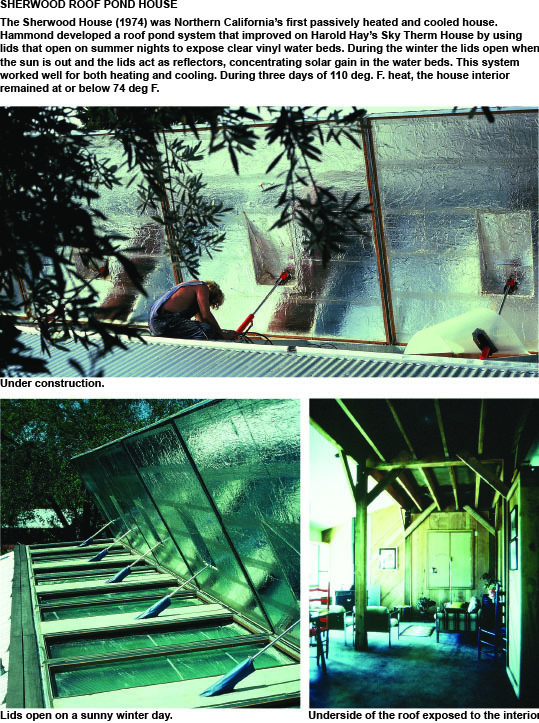 He built one of the first successful passive solar homes in northern California using a water all retrofit, and the first day lit, naturally heated and cooled office building using a water wall. He worked to improve Harold Hay's "skytherm" concept through the use of a highly insulated roof which served as a reflector of controllable angle. The work with roof ponds later developed into an effective radiant sky/evaporative cooling system. In 1973 Mr. Hammond co-founded the environmental design firm, Living Systems, which developed impressive and innovative designs to passively heat and cool buildings. He later established Indigo | Hammond + Playle Architects, LLP which the specific purpose of introducing passive principles into the mainstream of civic and institutional architecture. He has continued work on sustainable design throughout his career. Early in his career, Mr. Hammond explored the nexus between culture and climate by examining how four different cultures adapted to the rigorous New Mexico climate. This work helped inspire him to create an energy conservation building code based on the principles of solar orientation, passive solar heating and cooling, and design with climate. This was put into action as he wrote "A Strategy for Energy Conservation," for the City of Davis, CA. This document resulted in the first climatically adapted building code. Below are some of Hammond's early passive projects and innovations.